25m Working range. Accuracy ±4mm @ 10m. Projects 1 x 360° horizontal and 1 vertical line. Green beam laser diode provides full brightness for visibility and extended working range. Rated to IP50 to protect against dust. Pendulum lock for safe transportation. 1/4” thread allows the unit to be mounted to a tripod. Runs on 4 x AA batteries (supplied). 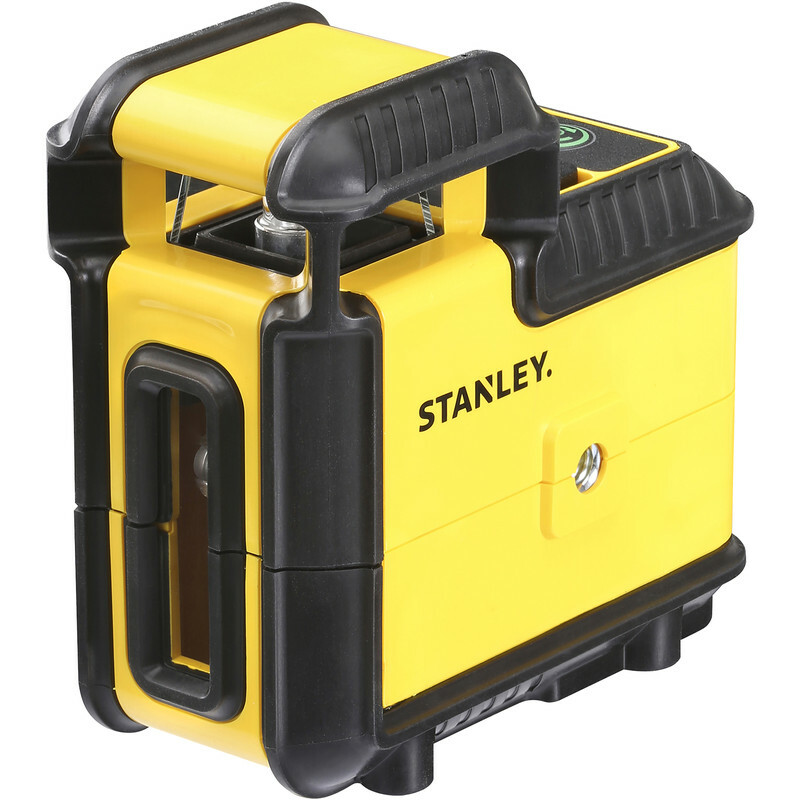 Stanley 360° Line Laser Level Green is rated 5.0 out of 5 by 1. Rated 5 out of 5 by Scotty01 from Just the right size. I’m a Floorlayer and I needed a laser that I could use 4” off the floor and this is spot on..